Currently these videos are posted at YouTube as "UNLISTED" - it will not show up during a search. If you would like to change your video clip privacy setting to "PUBLIC" please send us an email. read about "UNLISTED". 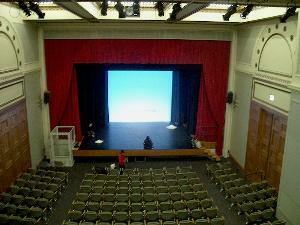 Award Ceremony at Claudia Cassidy Theather, Chicago Cultural Center, Chicago, IL USA. This was the first permanent home of the Chicago Public Library. Its stately columns give away its municipal heritage, while its large windows show that light infiltration was of paramount importance. Those first books that filled its stacks after the Great Fire were donations from Britain, and were an important symbol of the global outpouring of sympathy and support, which followed the destruction. 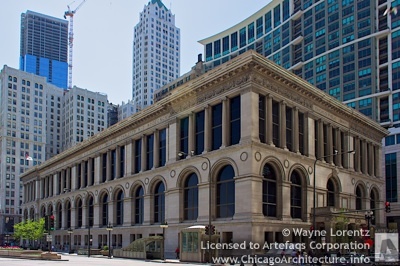 Just as the start of work on the library in 1871 symbolized new life in Chicago, the building, itself, was given a new life in 1991. That's when the city's new public library, The Harold Washington Library center, opened, freeing this building to evolve for use in its current mission. Until we (Sejong Cultural Society) receives your permission to post your performance video clip(s) pricacy setting to "PUBLIC", we will leave the YouTube video clips as "Unlisted". Making a video unlisted means that anyone who has the link to the video can view it. Your unlisted videos won’t appear to others who visit the Videos tab of your channel page and shouldn't show up in YouTube's search results unless someone adds your unlisted video to a public playlist. To share an unlisted video, just share the link with the people who you’d like to have access to it, and they’ll be able to see it. Unlike private videos, the people you share the video with do not need a Google account to see the video. Anyone with the link can also re-share it in a number of ways, such as simply forwarding the link. please send an email to sejong@sejongculturalsociety.org. on Sejong Cultural Society's website. If you want to post your performnace video clips to YouTube site as "Public" (means searchable by anyone), please let us know we will gladly post your performance video to YouTube Sejong Cultural Society accoutn.